I’ve got a new thing. It’s my favourite. This has been on my radar for the longest time, and filed under extravagant extras – it’s not an essential. It’s not. 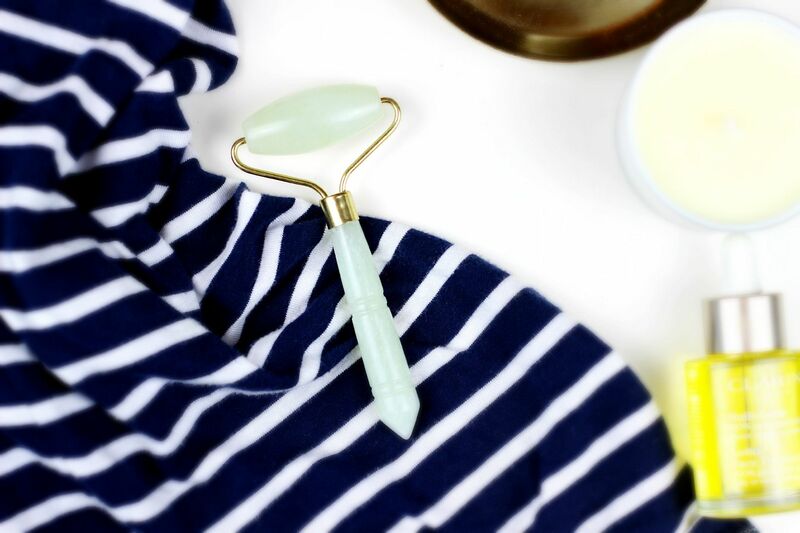 The jade roller is a little tool that gives your face the most incredible massage. I’ve been using it twice a day, and I have been really looking forward to using it. I picked mine up from Cult Beauty. At first, it feels so cold and refreshing on the skin – amazing. So amazing. I’ve been using it to really work in facial oils by using outwards rolling motions. This is one of the times where a video would be so useful to demonstrate but instead you will have to imagine. The pure jade has alleged healing properties, but it’s just how it feels that really makes it so nice to use. Hmm, this is starting to sound slightly x-rated. Jade has been used in Chinese medicine forever to get rid of toxins, which is what I want tog et rid of on my face! The thing that really sold it is that regular use is meant to prevent those pesky hormonal chin spots that I always seem to get. Basically, roll this on your face because it will make your face feel lush.